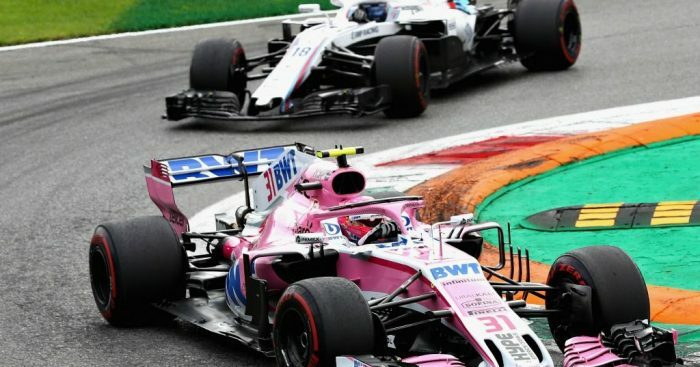 Claire Williams has said that the team “would be crazy” not to consider Esteban Ocon for their second race seat for 2019. The team announced that George Russell would get his chance in Formula 1 by signing a “multi-year deal” with the Williams outfit. Lance Stroll looks bound for the Racing Point Force India team, following his father’s takeover, leaving four contenders. Sergey Sirotkin is the favourite to continue, while reserve driver Robert Kubica and F2 driver Artem Markelov are also options, but Ocon could trump them all. “It’s a short short-list. We’re very happy with the drivers we are evaluating and it will not take us a long time to make that final decision. The Frenchman has been left on the outside as teams up and down the grid have been announcing their driver line-ups for next season. Renault and McLaren seemed like the biggest chances, but they were two of the first teams to sign up their man for 2019. The only drives available now are the two Force India seats, which are expected to go to Lance Stroll and Sergio Perez, and a seat at Toro Rosso, along with the Williams drive. Ocon could be braced for a year on the sidelines as Mercedes reserve driver, as the works team want to keep him prepared for a return to the grid in 2020.